Iwanai has been inhabited for almost 400 years, one of the oldest villages in Hokkaido. And there is much living history here. The people are testament to a proud culture. A local museum shows the era of great herring runs, when the town would overflow with transient fisherman. Such a heady time...even geisha were present among the wealthy. Today, a strong heritage lives on. The town boasts over 40 restaurants and 40 bars, making downtown Iwanai the most concentrated bar area per capita in Hokkaido (and 11th in all Japan). There is a lot going on in Iwanai. 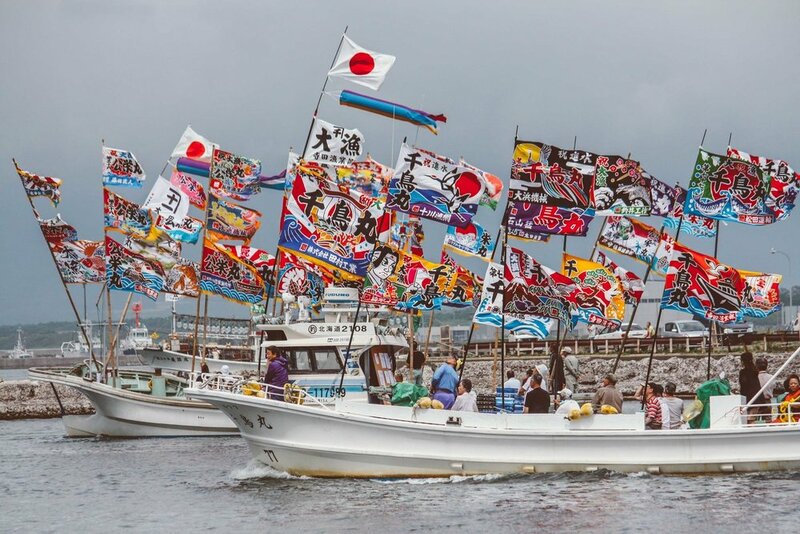 The Iwanai Shinto Festival is famous for its pageantry and active participation. For three days every July, the town shuts down and the locals come out for an extravagant celebration. Continuing for over 240 years, the Iwanai Festival is a cultural masterpiece, where layers of history and showmanship unfold. Watch as the devil Tengu, the protective yet still dangerous spirit of the mountain, comes to cast his staff on area shops. Over 400 participants meander through the streets and even on the water as the parade takes its turns over the three days.